Special Delivery! Today we received a much-anticipated package from Italy. 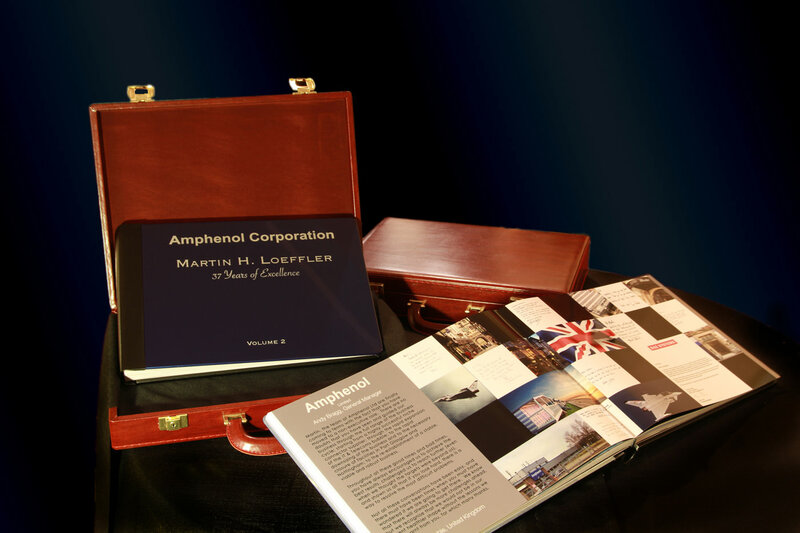 Two custom photo books designed by Miceli Productions HD as a retirement gift for Amphenol Corporation’s Martin H. Loeffler. Our corporate event and product photography looks amazing with the metallic printing and handmade binding by GraphiStudio.